The Hotel accommodation is situated adjacent to the main building and consists of four fully refurbished units. Three of the units are one bedroom, and we also have a two bedroom unit. 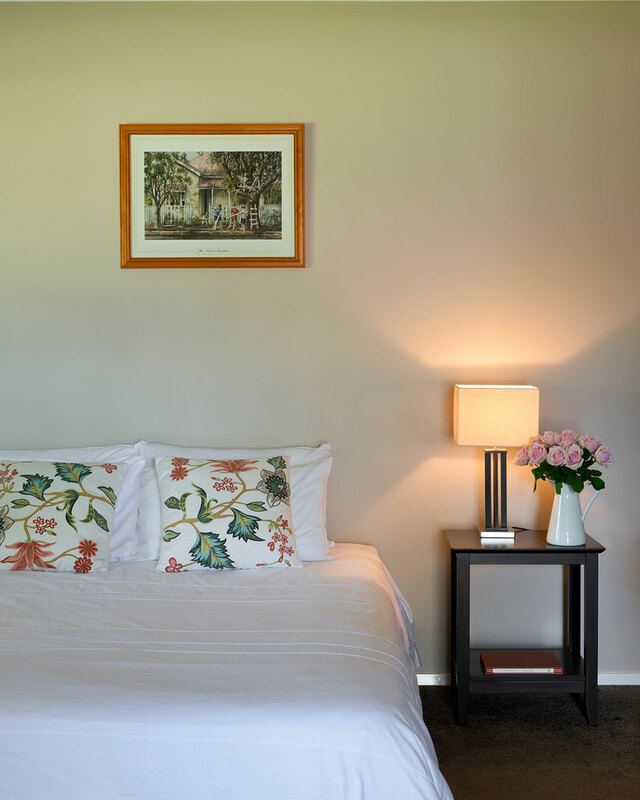 Each unit contains a King Size bed (the two bedroom unit has a queen bed in the second room), reverse cycle air conditioning, LCD TV, new bathroom, small fridge, well stocked mini bar and tea & coffee facilities. Accommodation is available every day of the week.